If you have ever thought about going off the grid and switching to a septic tank then you are probably curious about how it works. A septic tank takes in waste water and ‘digests’ organic matter as well as simultaneously separating all oily matter from the waste water. The septic tank holds waste water in too allow scum rise to the top. The liquid effluents are then passed through to a drain field. About 50% of the solid waste left in the tank decomposes while the remaining 50% accumulates as sludge. As the septic tank is continuously used, the sludge continues to accumulate at the bottom. There is a limit to the possible safe accumulation of sludge- usually 3 years’ worth. As the sludge level increases beyond the safe accumulation limit, more solid escapes into the drain field. At this point, it is necessary to pump out the septic tank. Continued use of the septic tank at this point without first pumping it out would lead to a failure of the drain field. A septic tank is not difficult to install or maintain, with proper consultation with an expert would make the transition incredibly seamless. 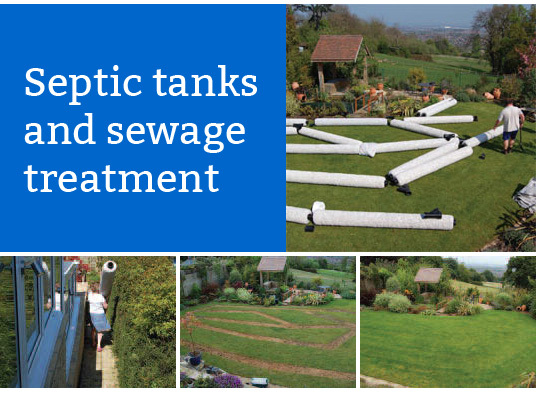 A septic tank is a great alternative to the public sewage grid.